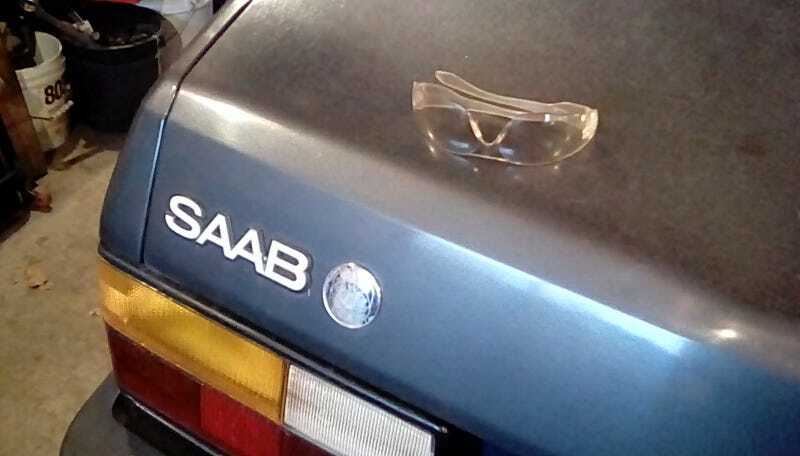 Not much Saab progress to report this week. This was a busy weekend, with a couple more busy weekends ahead, for reasons I’ll get into below. Spent some time hunting down parts and scraping gasket surfaces, though. It looks like gaskets for this engine are starting to get harder to find. The one for the rear of the block, that seals it against the starter mounting plate, is apparently unobtanium now. My brother has one possible lead that he’s looking into, but we’re thinking about just using a gasket maker instead. There is evidence of oil leaking past this old gasket, so maybe it would be better to take advantage of modern gasket-maker formulas and use RTV or anaerobic sealant instead. Unlike this car’s “oil pan” gasket, the thickness of the rear plate gasket isn’t really critical for shimming anything.